Content that doesn’t fit well into other categories displays here. The results are in. The winners of our 2012 election for the Board of Director’s are Vernon Base, Duane Gilbert and Rodney Barnhart. These members will serve a three year term. In addition the new Officers of the Association were elected: President, Vernon Base; Vice-President, Richard Jackson; Secretary, Pam Jackson and Treasurer, Joy Rider. All of these members as well as members of the Board may be contacted at any time if a member has a question, suggestion or problem. Contact information can be found under the WWA Information Menu. 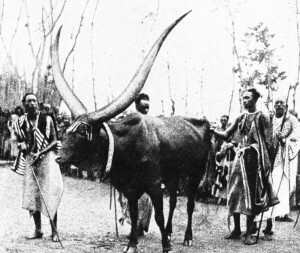 Tribesmen in Africa have a close relationship with their cattle. The number of head and the quality of the animals defines social status in the tribe. Herdsman spend a large percentage of their time with their livestock. The World Watusi Association receives forwarded photographs from time to time from various members. We will be posting a variety of those received that reflect the background in Africa of the Watusi Ankole cattle. We do want to extend a special thank you to the hard work in collecting and forwarding these great items to all that send them in. We have a particular thank you for Rodney Barnhart, Alex Geremia and Darol Dickinson for their contributions. Cattle are a huge part of everyday life. Herdsmen are close to their stock. Caretakers start out very young. It is with a heavy heart that we announce to our membership that Don Zavislan has passed away. 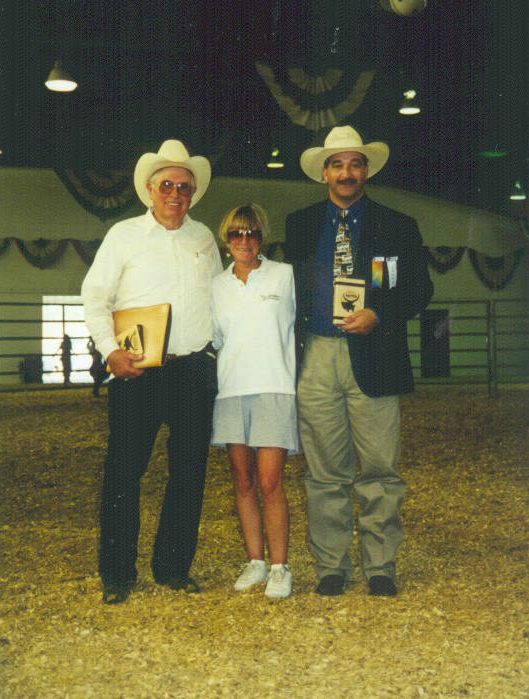 Don was instrumental in the promotion and breeding of Watusi cattle and of the World Watusi Association. His contribution to this breed will continue as long as Watusi cattle are registered and bred. Don was a good friend to the breed and many of the WWA members, he will be missed. His family requests that in lieu of flowers donations be made to the Pueblo Zoo, 3455 Nuckolls Avenue, Pueblo, CO 81005. The most difficult part of raising animals is facing the fact that no matter how much attention and care that you give them, no matter how healthy they are, they will eventually die. It is hard when any living being passes away, but sometimes the loss hits on multiple levels. On November 30, 1999 we were faced with the loss of Liar’s Lake Kenya Jim our longtime chief herdsire. Jimmy, as we knew him, is an icon in the Watusi industry having produced a great number of calves. To those of us at Liar’s Lake he was the personal favorite. In 1989 we went to the WWA sanctioned sale at Macon, Missouri in search of an outcross yearling bull that we could put with yearling heifers. We were impressed when we saw this red bull calf in the Texas Safari consignment. He had great horn and body for his age, but what impressed us the most was the temperament that he displayed. He was a gentleman even at that young age. Jimmy was the 1988 son of the Catskill Game Farm Bull, Heinz and Kathy a great foundation pure cow of the Rare Animal Survival Center in Ocala, Florida. We gave him 12 heifers for his first time out and he presented us with 10 beautiful calves. This was the start of a great breeding history and career. Jimmy was more than just a bull to us, he taught many lessons to us about breeding and handling Watusi that have proved invaluable. I have often lectured people new to the industry about the dangers of handling animals that are so much larger that you are. Jimmy himself brought home to me the dangers of having a large animal that is too friendly. This was not really for the normal reason of becoming too aggressive when he matured, but rather because I discovered how small I was compared to him. Years ago I was out checking a fence line where we had set a trap for some deer that had liberated themselves into the wrong pen. The ‘wrong pen’ being the one that Jimmy and his girls were in. At the time he was about 18 months old, so probably only around 800 pounds. He came up to me as I got out of the truck so I accommodated him by scratching his back and behind his horns. When I was done I turned my back to him and headed for the deer trap. Now this trap was a simple arrangement by which a perpendicular fence was installed to an existing structure so that the deer could return to their original pen without allowing access to the other animals (such as the Watusi). My husband had previously walked through the trap so I headed there as well. I forgot that my body needed a larger gap than his to pass through, I couldn’t squeeze through the hole. I turned around, my back to the fence and there was Jimmy. He had followed me after I scratched him wanting more attention, but I had not noticed him. He lowered his head and pressed it against my stomach so that I could scratch behind his horns. With this motion he pressed my back up against the fence and pinned me to it. He then started to rub up and down on me. Here I was, trapped and facing either being squashed through the squares of the fence like through a colander or having him scrape my chest flat with his horns. The horns, although proportionately small because he was young, were still very effective in trapping me and making me quite nervous. The only solution that I could see was to keep myself positioned between them and holding on with my hands. This produced the effect that as he raised and lowered his head he simply lifted me up and down, again and again. This action, which would have been impossible for a human, was as effortless for this young bull as turning a page of a book is for us. Fortunately his attention span was limited and when I was not rubbing him the way he wanted he repositioned himself and I was able to move away from the fence. I was frightened, but not injured and as the saying goes, “what doesn’t kill you makes you stronger” so the lesson that I learned was well worth the experience. As Jimmy matured he developed into a large, very well built animal whose temperament remained as easy going and sweet as an adult as it was as a youngster. Throughout his life he remained consistently easy to handle and feed. He still enjoyed a backscratch up to the end. He was a great producer siring quality calves with good horn and body. Many of his calves have outdone him in horn and are still growing into the body. His progeny have made him proud by winning in the show ring. His offspring have included Colorado State Fair winners as Grand Champion Foundation Pure Bull and Reserve Champion Native Pure Cow with the same results at the All American Watusi Show. His legacy will continue long after his passing. To those of us that knew him personally the loss will be felt for just as long.